Tall towers, deep moats, a drawbridge… 7 centuries of French history at the Château de Villebon, a fairytale castle sure to enchant your kids. 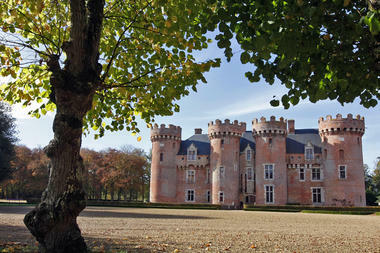 This is one of the most authentic castles between Beauce and Perche. 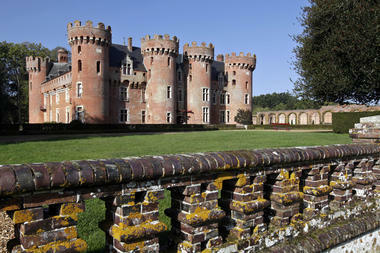 Villebon is a genuine brick-built fortress, and contains memories of Sully, minister of King Henri IV. He died here after spending 24 years of his life here. 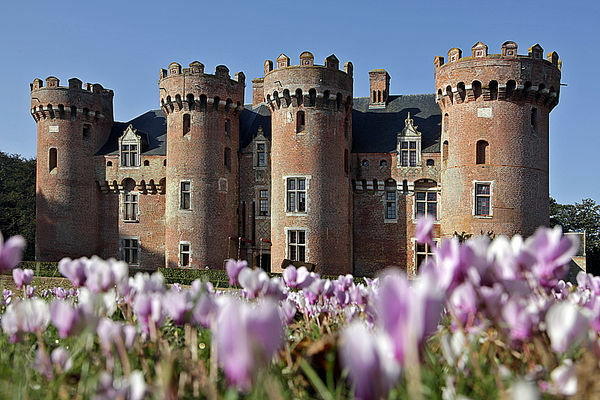 Built during the Hundred Years War by Jeannet d'Estouteville, it is square in layout with a large number of towers, a moat with water and a drawbridge that give it the forbidding appearance of a mediaeval fortress. Although Villebon was never a royal residence, it did play host to many personalities: Charles VI, Louis XI, François I, Henri IV and of course the owner of the place for a time, Sully. The grounds will not disappoint either. The French gardens alternate lakes and views into the distance where fallow deer roam. 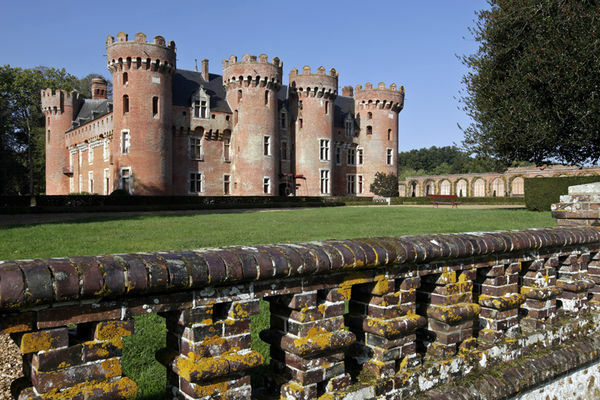 Dimanche après midi * Tall towers, deep moats, a drawbridge… 7 centuries of French history at the Château de Villebon, a fairytale castle sure to enchant your kids. Dimanche après midi Mardi après midi Mercredi après midi Jeudi après midi Vendredi après midi Samedi après midi * Tall towers, deep moats, a drawbridge… 7 centuries of French history at the Château de Villebon, a fairytale castle sure to enchant your kids. Dimanche après midi Samedi après midi * Tall towers, deep moats, a drawbridge… 7 centuries of French history at the Château de Villebon, a fairytale castle sure to enchant your kids.